For the Fuji TV drama of the same name, see Voice (2009). Actress Bae Doo Na, Chun Woo Hee, Lee Si Young were initially offered the lead role. 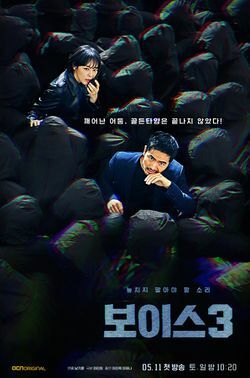 The role was eventually taken by Lee Ha Na. 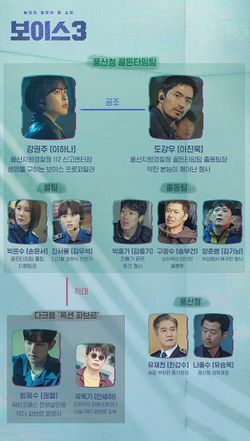 Kang Kwon Joo, now a National Director of 112 Call Center Division, brings her main team from HQ to Poongsan city to investigate the death of their Dispatch team's leader there. 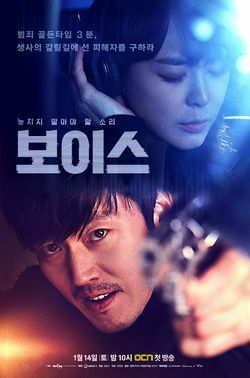 She meets and then appointed Do Kang Woo, a lone and hot-headed detective with mysterious past, as their new team leader. Broadcast period: 2019-May-11 to 2019-???-? ?